Have North Carolina Colleges Improved Their Free Speech Protections? 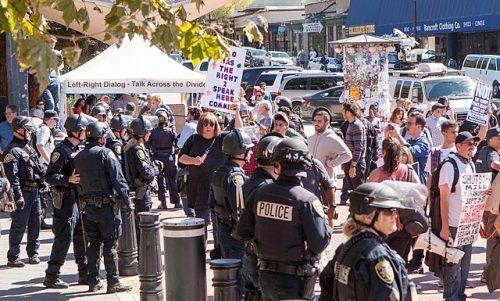 Free speech on campus has become a point of concern for many. News reports describe speakers being disinvited from campus or shouted down. Events such as students being arrested for giving away free copies of the U.S. Constitution on a college campus have become ordinary. North Carolina has not been immune to this worrisome trend. In response, the James G. Martin Center for Academic Renewal collaborated with the Foundation for Individual Rights in Education in 2010 to issue a review of campus speech and freedom of assembly protections for students and faculty on North Carolina universities, both public and private. The original report, “Do North Carolina Students Have Free Speech: A Review of Campus Speech Codes,” pointed out troubling trends and violations to free speech and assembly. It influenced the UNC system and the general assembly to make a number of promising changes to the University of North Carolina system and North Carolina state policies. The results of the 2010 report were shocking. Not a single North Carolina school received a green-light rating from the Foundation on Individual Rights in Education. This means that on every campus, there was a significant challenge to free speech or freedom of assembly. Basic constitutional principles were not upheld in the very institutions that North Carolina citizens and taxpayers expect to teach these core democratic, American principles. This was cause for concern to state citizens, UNC system students, and legislators. Thankfully, much has changed since 2010. In light of the passage of time and of the intense focus on this topic, the Martin Center and FIRE are issuing a follow-up report to document the significant progress in some of North Carolina’s First Amendment protections on major university campuses. The updated 2018 report can be found here. Now, North Carolina is currently ranked as the top state in terms of the overall number of green-light-rated schools. According to the 2018 report, UNC-Chapel Hill was the first to make the move to a green light rating in 2015, when it revised two troubling speech codes listed in the 2010 study: regulations on distribution of student flyers in the residence halls and a policy banning “disparaging” speech. This made UNC-Chapel Hill the twenty-first institution in the country to earn an overall green light rating. Since 2015, several North Carolina institutions have followed suit, making some notable strides in their commitment to the First Amendment. To strengthen those commitments, North Carolina recently passed House Bill 527 (“An Act to Restore and Preserve Free Speech on the Campuses of the Constituent Institutions of the University of North Carolina”). The bill (now State Law 2017-196) includes several provisions for the protection of free speech on public university campuses. When added to the state law for freedom of assembly, which was passed in 2013 and offers strong protections for campus freedom of assembly, North Carolina’s public universities have perhaps the strongest First Amendment protections in the country. However, private schools were not subject to these protections. Several private universities such as Belmont Abbey College and Southeastern Baptist Theological Seminary continue to place religious values above their commitment to freedom of speech or assembly. These schools are free to do so, so long as it is made clear to students and faculty. As a result, these schools are not included in this survey. Many private schools, such as Campbell University and Wake Forest University, make no claim to place religious or other values above First Amendment protections. Therefore, they are included in this report. Many of them have poor free-speech ratings and few have shown improvement since 2010. Duke University is the rare example of a private university that has made significant policy changes to provide or guarantee First Amendment protections to students. In total, there are 16 private colleges that still remain red-light campuses, all of which are private. More than two-thirds of the schools surveyed in the report received a red-light rating. There is still much to do to create a university system that upholds its commitment to freedom of expression and assembly. But, some schools have made exemplary progress, and the report makes some practical recommendations as to how others can follow suit in protecting the First Amendment. More information and recommendations can be found in the report—which can be found here. We can make a positive impact on higher education policy, but we need your support. Make a donation to the Martin Center today.